I am stuck with some work that I cannot afford to write the report. So enjoy the highlights till it last in youtube. FC Barcelona will be looking to register their first victory in this season's Champions League tonight when they face Dynamo Kiev at the Camp Nou. At the Guardiola described how important is this game and a failure to win will put em\normous pressure on the Barcelona side, especially we have to play at Ukraine and Russia in the onset of winter. Visiting those places at that time is not easy. Thierry Henry has been excluded from tonight's squad. He will be sidelined for six to seven days with a hamstring problem. Bojan is already out with injury and there is a small possibility that Ibrahmovic also may miss with the ankle injury. But that does not look like going to happen. 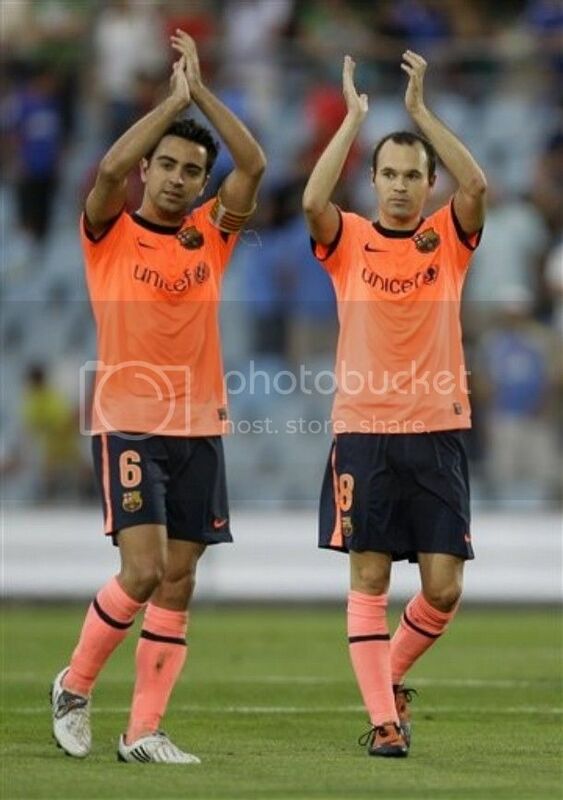 One fact is for sure and that is Iniesta is going to get his first start of the season. The squad selected for this match is Valdés, Pinto, Alves, Abidal, Maxwell, Puyol, Piqué, Márquez, Touré, Xavi, Keita, Iniesta, Busquets, Messi, Pedro, Ibrahimovic, Jeffren and Gai. Barca players have to get over the bruises suffered at Malaga and play fiercfully as they can expect Kiev to follow the same strategy. But they may not be that successful if our players uses the width of Camp Nou. Will Argentina qualify for 2010 world cup? This seems to be the question in everyones mind nowadays. If you have asked me this before the Argentina- Brazil match, I would have definitely said a Yes; but now even I am doubtful. Argentina has been my favourite natioonal team for years. Mr.Mardona has been the major reason for that fixation and it is sad to see Argentina struggling to qualify under him. The old saying "Good Players, don't Make Good Coaches" looks like becoming true in Maradona's case. Barcelona ace Lionel Messi has been the subject of many attacks by Argentinian fans in recent times. They can't understand how he play so great with Barcelona and looks out of sort in the Argentinian Jersey. 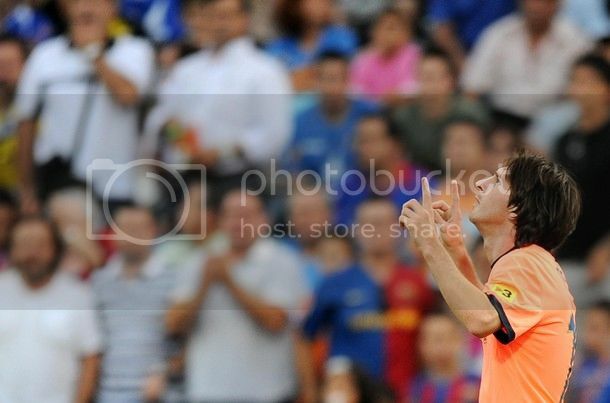 Messi has been trying hard to defend himself and he do have a point - football is essentially a team sport. Until the team clicks he can't do anything. There are rumours that Maradona is so unhappy with him and is not in talking terms. Messi is not alone in this kind of mess. Christiano Rinaldo, his rival find himself in a much worse situation in Portugal's qualifying campaign. But then Portugal's non-qualification will not be same as Argentina's. At times I feel that it would have done them a world of good if they have gone against Brazil and Paraguay looking for a draw. But then this is Argentina and you can't even think like that.Anyways the equation is pretty simple for Albicelestes', win the next two matches and easily qualify. FC Barcelona continued their excellent run in the league with a 4-1 demolition of Racing Santander at El Sardinero stadium. 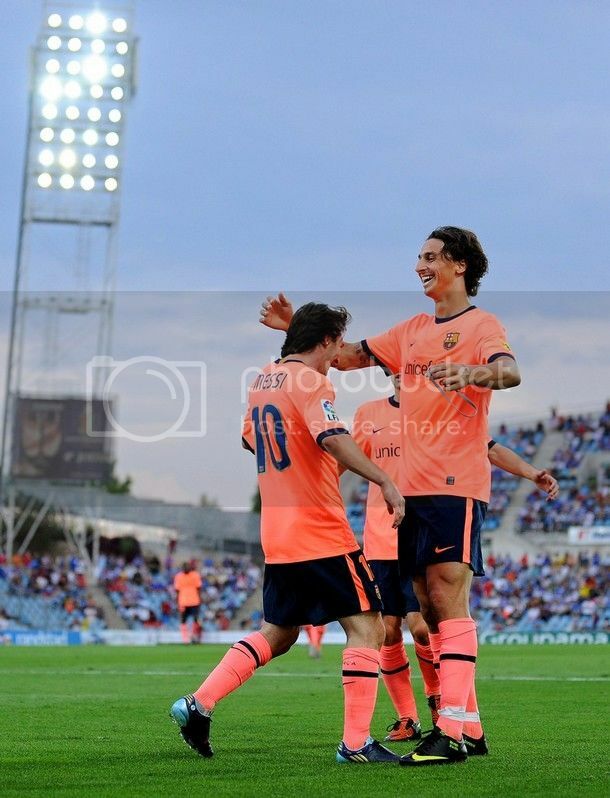 Two goals from Messi and one each from Ibrahmovic and Pique was enough to see Barca comfortably past Racing. Like the weekend it was a sensational first half display which put Barca in command. Now Barca has moved three points clear and the pressure will be surely on Madrid to respond against Villareal. 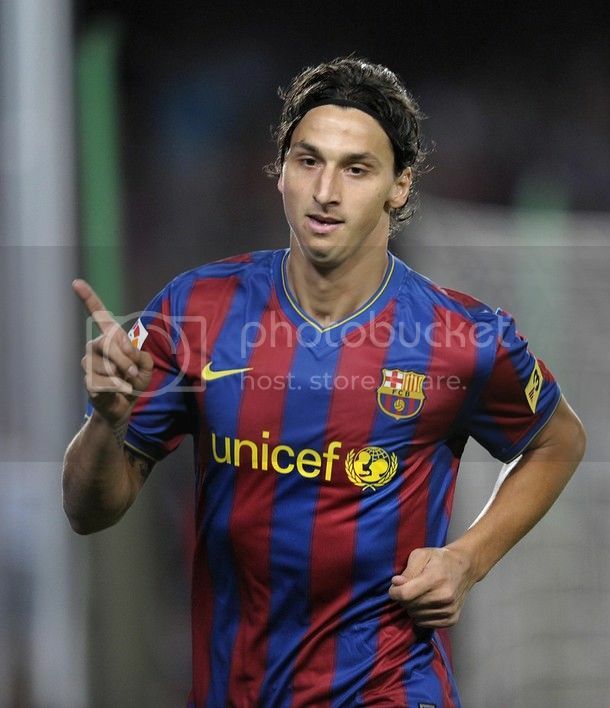 Ibrahmovic scored his fourth goal in the league from that many matches. It was by far the best performance by the Swedish superstar and incidently it was also the best performance by Barca till now. Messi is keeping on improving and is surprising everyone with each match. 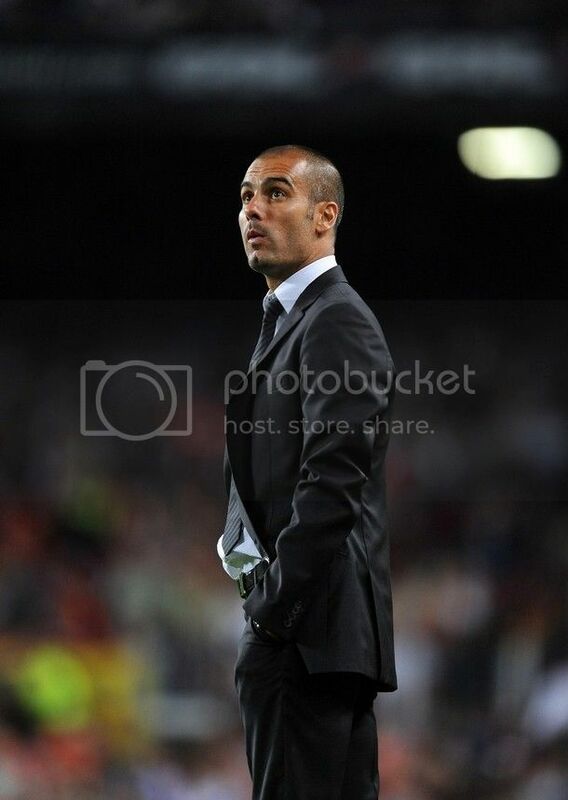 I expected Guardiola to rest Messi for this match but that wasn't to be happened. Guardiola brought in Puyol and Abidal in the defense. Thus Alves, Pique, Puyol and Abidal formed the defense. The midfield was made up of Xavi, Kieta and Busquets. 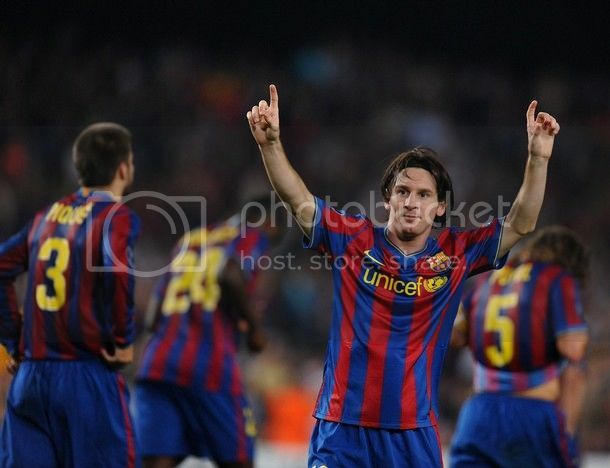 Messi, Ibrahmociv and Henry formed the forward line-up. Keita has been a vast improvement to the last season and now looks like an attacking option in the midfield. Ok, there are some serious good news - not like all the news till now was bad. But this one sounds so good - Milito is back in training. There is no date set for his return but still it is good to hear that we may be able to count on his service maybe in the latter part of the season. And that is a very good news to the build up of the Racing clash. There are reports that Pep may be tempted to rest Messi at the El Sardinero, but most probably he would only start him from the bench. Last season also Messi started on the bench here and came on to help Barca win that encounter. It is also not clear whether Iniesta will get a much awaited start; Pep seems to be in no hurry to rush "San Andres" and there is a high chance he will again see action only after the break. Pep Guardiola has announced a 19 man squad for the visit to Santander - Valdés, Pinto, Alves, Puyol, Piqué, Marquez, Chygrynskiy, Maxwell, Abidal, Busquets, Toure Yaya, Xavi, Keita, Iniesta, Pedro, Messi, Ibrahimovic, Henry, Jeffren. 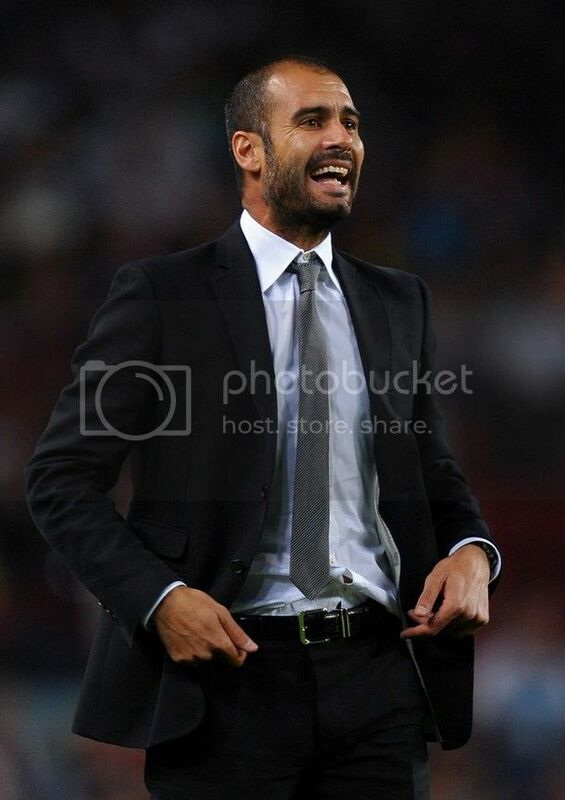 Pep will be looking to rest his major players tonight because of the tight schedule ahead of them. Puyol, Abidal and Toure who were rested in the last match is definite to get their start, meanwhile Pique is destined to get a well deserved rest. I am not exactly sure whether tehse videos will remain forever. Youtube may remove them soon. Till then enjoy. For the second time in a row, Atletico Madrid's visit to Camp NOu turned out to be a nightmare. But it was better than last time, I mean they score one more and conceded one less too this time around. With this heavy defeat Atletico's start to the season has gone from bad to worse. First half goals from Ibrahmovic, Messi, Alves and Keita, and an injury time strike from Messi condemned Atletico's to their heaviest defeat this season. Aguero and Forlan both scored in either half as consolation for the Madrid based side. Lionel Messi was on fire throughout the night and it was good to see him scroing twice especially after penning a huge deal which keeps him with Barca till 2016. Guardiola decided to start Iniesta from the bench and that means Busquest started alongside Keita in the middle. Valdes as usual occipied the goal keeper role. 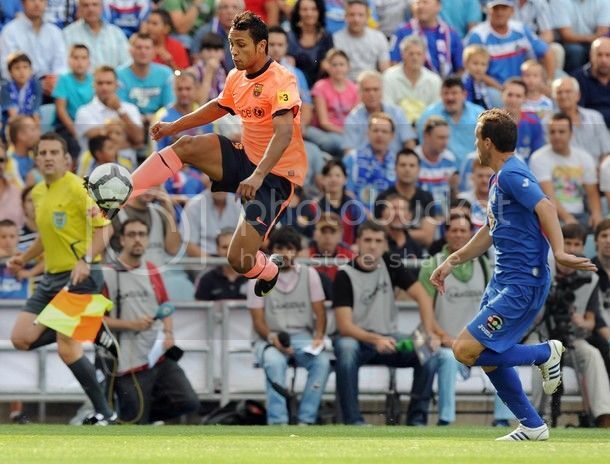 Alves, Pique, Chygrrynskiy and Maxwell fromed the defense. 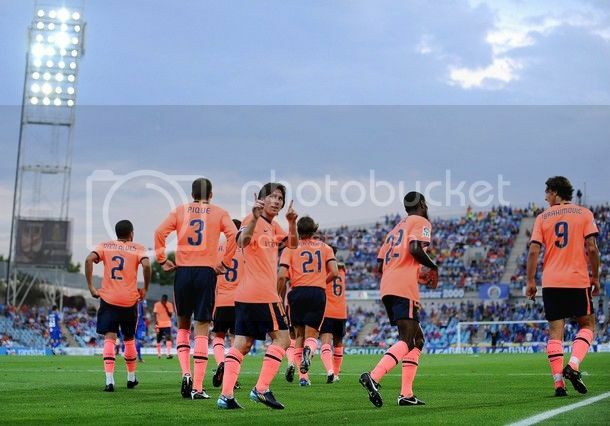 The midfield had Xavi, Busquets and Keita lined-up. And as everyone expected the attacking trio were - Messi, Ibrahmovic and Henry. Some of our friend has started a i-petition to get La Liga Telecast in India. I am not sure whether this will make any diffrence. But sittying here idle also is not going to make any change. So this is one of our last resort. I want everyone to sign this petition. Once we have garnered enough signature we can take these to the Sports channels and give them the exact amount of fans whom they are depriving of a chance to watch the League. Guys don't think whether it will be effective, just get you voice heard. And always remember together we will be a force for these channels to reckon with. FC Barcelona will be looking to continue with their perfect run when they take on Atletico Madrid. FC barcelona has won their two La Liga matches, meanwhile Atletico start has been very poor - they lost to Malaga and drew with Racing last week; they currenly lie in the 18th place in the table. Eventhough Atletico hasn't been in great form, this has to be the first tough test for the team this season. The matches with Atletico Madrid has always been tough to Barcelona. Last season we drubbed them 6-1 at camp Nou but went on to lose 4-3 at Madrid. That one of the small blemish in our last perfect season. Meanwhile FC Barcelona will be glad to have tied down Messi till 2016 with a deal which put his buy-out clause at 250 million. 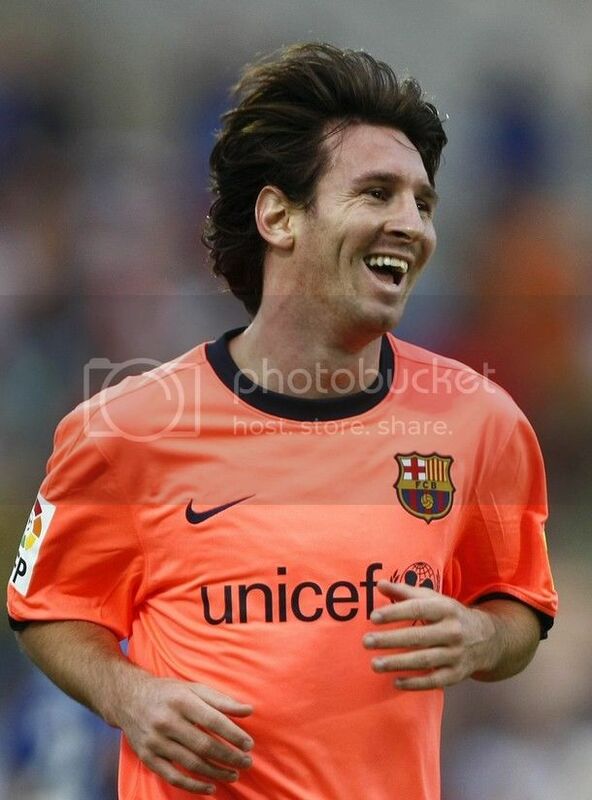 Messi is supposed to earn 9.5 million after taxes, which will make him the highest earner in the Club. 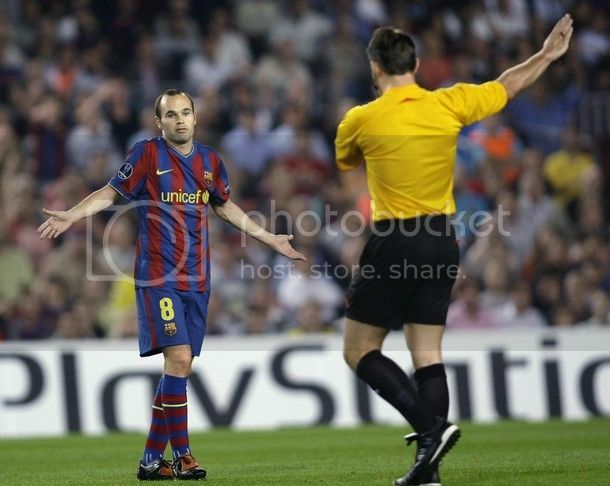 Mean while every ones attention will be to see whether Iniesta will start in this match. Zlatan Ibrahmovic, the tall Swedish Striker has been the focus point of all discussion regarding FC Barcelona this season, and I firmly believe that this is going to continue throughout this season. Guardiola's decision to replace swap Eto with Ibrahmovic did raise some eyebrows (including mine) and Zlatan's every action on the pitch will be under the scanner for the whole season. He will be compared to Eto's achievement and contribution at every nook and corner and he better get used to it. The whole point for which Guardiola acquired Ibrahmovic was to give Barca an edge which we were lacking, especially the aerial threat. But his performance at the San Siro especially in the aerial department does not justify that. I know it is too early to judge him. He is one of the most talented striker in Europe and way more skilled than Samuel Eto. But the early indications show that he will take some time to integrate into Barca's playing style. My biggest concern seeing him was his attitude and his pace. He looked very slow for Barca's counter attacks even though he had a great reading of the game. But what worries me most is the attitude he is showing on the pitch. He at time looks completely uninterested in the proceeding, especially in the second half at San Siro. 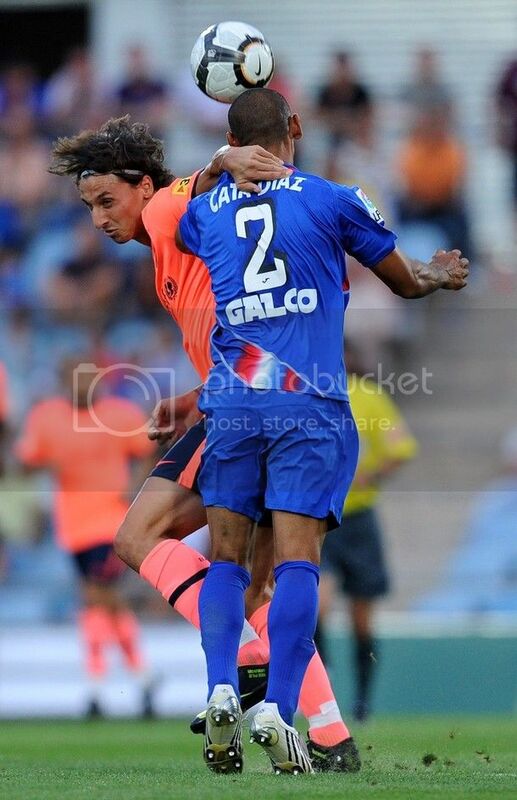 But then that was not the first time, he showed the same attitude in the first half of the Getafe match. Many of us blamed that for pairing him with Jeffren and Pedro, but there should be no excuse for the lack of intend. Valdes - 6.5 - had nothing much to do throughout the match but did well when called upon. Alves - 7 - Was good in defense and linked up well with Messi in attack. may not have been fully effective in attack that was because Chivu was having the best game of his life. 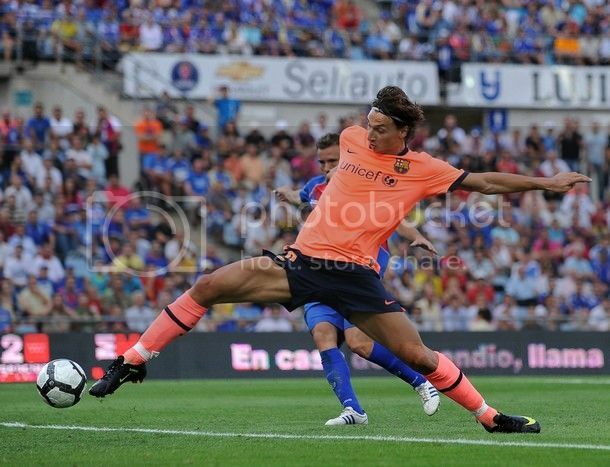 Puyol - 7 - May have looked out of position at times but was great with usual no nonsense approach. He did well in defense and was one of the best player on the pitch. Pique - 7.5 - Had a great night. Was very active in cutting off al dangers. Abidal has to thank him for covering his mistake many time in the first half. 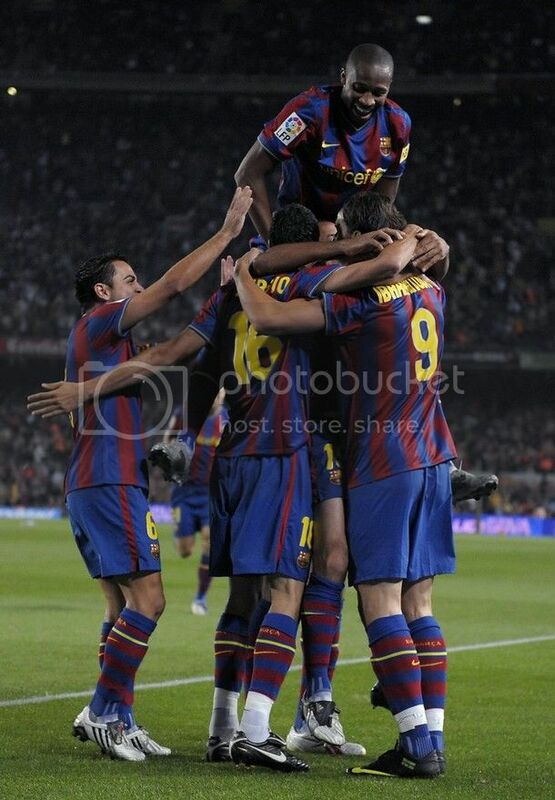 Abidal - 6 - Had a very poor first half, but looked ok in the second half. Couldn't do much in atatck as there was no link up between Keita and him. Xavi - 8 - The best Barca player on the pitch. He created enough chances for Ibra to finish off the game but none was taken. Linked well with Messi and Alves. It is no surpriuse that all Barca attack started with him. FC Barcelona started their UEFA Champions League defense with a goal-less draw at San Siro. This is never a bad result but with the chances we had we could have come out with three points with ease. It was a clash of the best atatck in the world against one of the most organised defense in the world. This was billed as the match-up between Eto and Ibrahmovic. Eto never had a sniff of our goal but Ibrahmovic wasted some golden oppurtunities. From the evidence of tonight's match, it is clear that Ibrahmovic will take hell lot of time to get in sync with the team mates and it is yet to be seen whether it will make our La Liga title defense more worse. 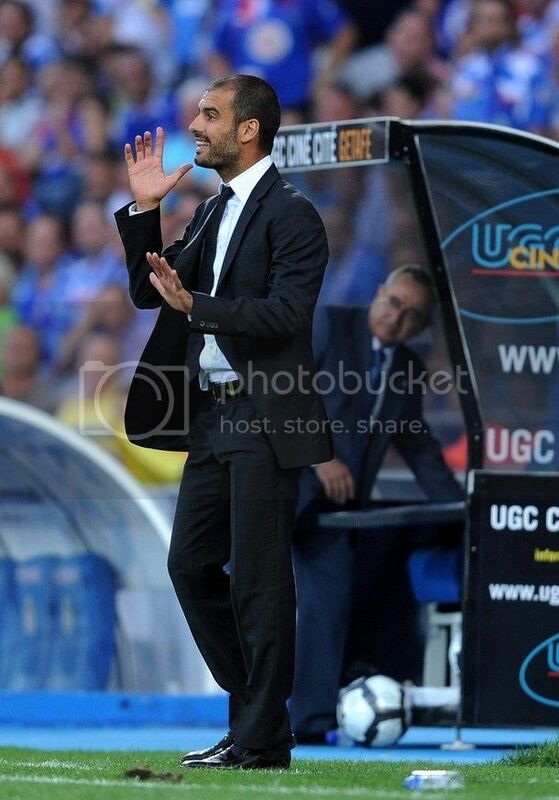 Guardiola decided to start Iniesta from the bench for this match. Valdes started at the goal. Alves, Puyol, Pique and Abidal started in defense. The midfield was made up of Xavi, Toure and Keita. Henry, Ibra and Messi formed the attacking trio. FC Barcelona will kick start their defense of Champions League crown officially with the visit to San Siro tonight. This match is set to bring out some stunning re-unions, most importantly Eto and Ibrahmovic. Zlatan Ibrahmovic is set to have a very hostile reception from the Inter fans; meanwhile Eto will feel a bit awkard playing against players who were his team mates for long six years. But there will be no lack of motivation for these players. Apart from these two Motta and Maxwell will be playing against there old clubs. Samuel Eto has recently discussed abnout his move to Inter with the media. He made no effort to hide his surprise and dissappointment in being discarded after a great effor last season. So he will be extra motivated to prove something to Guardiola. To his credit Eto has already fitted into the Inter side and looks to have developed a deadly understanding with Diego Milito. Meanwhile Ibrahmovic may have slotted two goals but he never have looked comfortable in the system till now. He will need more time to integrate into the team. Mourinho already has indicated how his first eleven will be. He will be most probably featuring the same eleven which started against Parma - Julio Cesar, Maicon, Lucio, Walter Samuel, Cristian Chivu, Javier Zanetti, Stankovic (or Muntari), Thiago Motta, Wesley Sneijder, Samuel Eto’o, and Diego Milito. 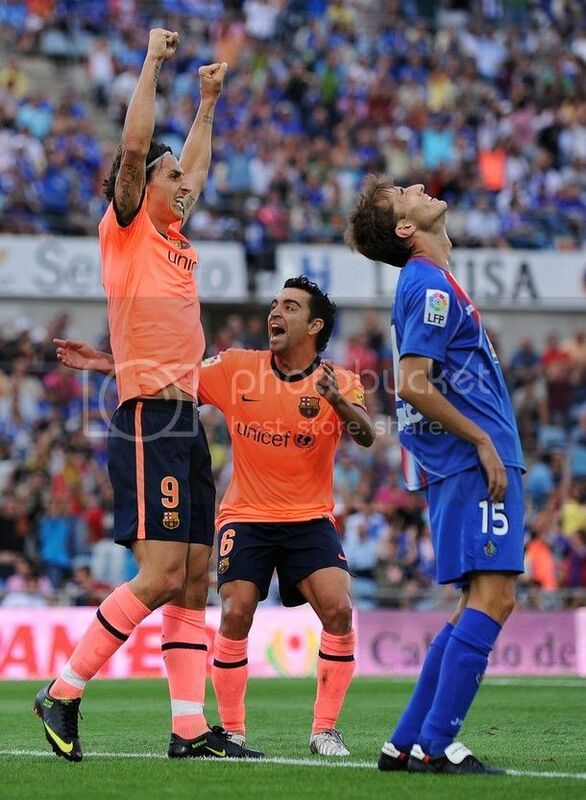 Ok, This is one of the most dissappointing moment for a La Liga fan. I did contact Cheryl Long, Manager, Corporate Communications, ESPN STAR Sports regarding the telecast of La Liga this season in India. He has replied confirming the news that they will not be telecasting La Liga this season in India. He also has confirmed that they don't have the rights to show highlights package. Now with ESPN-STAR Sports out of the picture we only have Ten Sports to depend on. I tried to contact them but there is still no reply from their part. I will write to them again and see what they will reply. Let's keep our fingers crossed. Otherwise streaming in Internet is the only option. I do agree that it is a not so great option, but it is better than nothing. Even though I am heavily dissappointed I would like to thank Cheryl Long for replying to my mail as early as he could.